How can Childhood Obesity increase the Chances of Diabetes Type 2? The instances of childhood obesity are increasing at an alarming rate. Lack of physical activity, addiction to gadgets such as play stores, tablets, and Smartphones keep the kids glued to home instead of playing outdoor games. On top of that children are fascinated with fast food items which are leading to childhood obesity. Studies show that children who are obese in childhood can reduce the risk of diabetes by losing weight before puberty. It has been observed that cases of people developing diabetes before the age of 30 is increasing. Several studies show a positive association between obesity and Type 2 diabetes. The complications of obesity which were previously seen in adulthood now appear in children as well. How does obesity expose your child to the risk of diabetes? When children are overweight or are suffering from obesity, it creates an additional pressure on the body to use insulin properly for controlling the blood sugar levels. Thus, it exposes them to the risk of developing diabetes. When you develop diabetes, the body makes enough insulin but the cells in the body become resistant to the salutary action of insulin. How to combat diabetes in children? Though diabetes can’t be cured, people can certainly prevent it by making lifestyle modifications. If you want to reduce the instances of childhood obesity and diabetes, the family needs to adopt a collective approach. As a family, one needs to take measures to combat diabetes. The families need to be educated and made aware in terms of diet and exercise as the most effective treatment for preventing diabetes. For addressing the issue of diabetes, we need to eliminate the root cause, i.e. obesity. It is important to reduce the obesity rate in children for preventing the obesity-related complications in future. 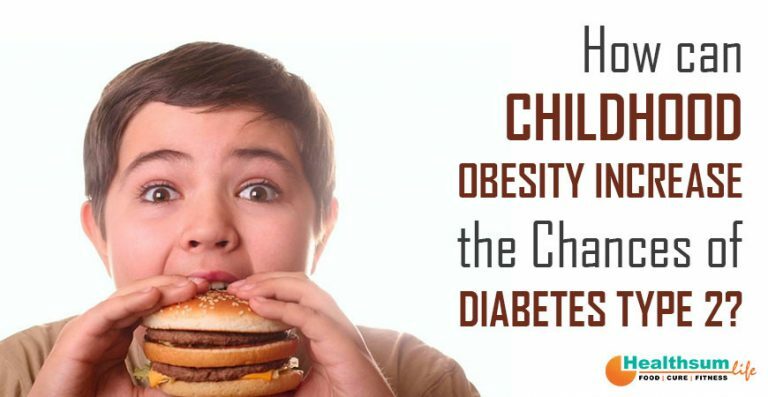 Apart from diabetes, childhood obesity can also lead to several other health issues. One of the first things to do is get a full body check-up so that the doctor can find out if you are at risk of diabetes. The next preventive step is to keep the child’s weight in check. It is important that your child has the right BMI for preventing the risk of diabetes and other health issues. Parents should imbibe right eating habits in their children from an early age. Excess fat when stored around the abdomen can increase the body’s resistance to insulin which can lead to type 2 diabetes. Moderate physical activity is mandatory for kids to stay active and healthy. It also helps in keeping your weight in check which prevents the risk of diabetes, blood pressure, and cholesterol. The processed foods are convenient food items for people, but they contain high amounts of salts and sugar which are not good for health. It is better to feed your kids a fresh meal with a lot of vegetables instead of junk food. Thus, it is crucial to take care of your child’s health right from an early age to prevent the risk of diabetes type 2. If you are looking for more tips and suggestions on health check-up and healthy recipes for your children, download the Healthsum Life app for all your health and fitness requirements.